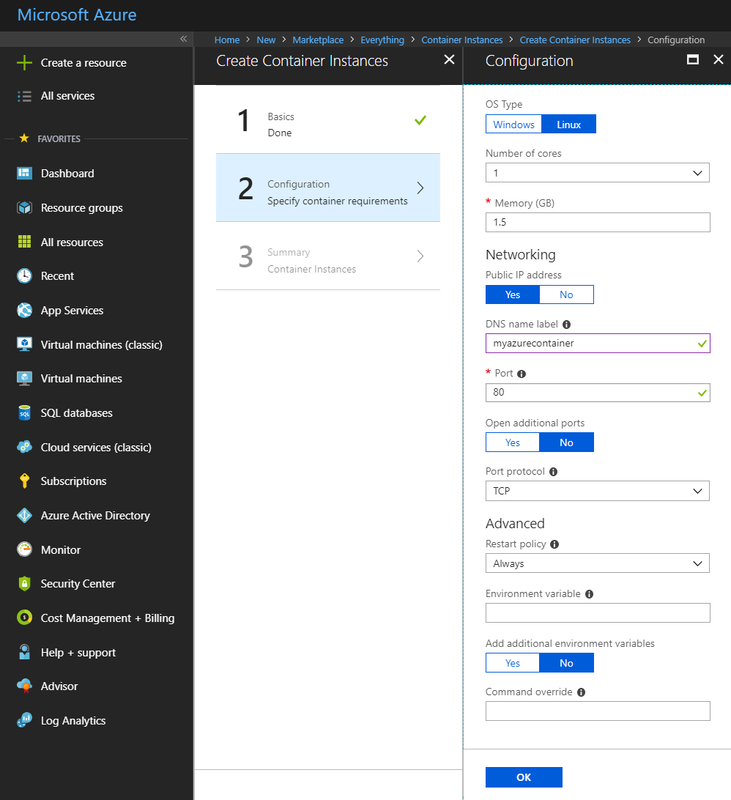 The next level of virtualization is containers as they provide a better solution than virtual machines within Hyper-V, as containers optimize resources by sharing as much as possible of the existing container platform. 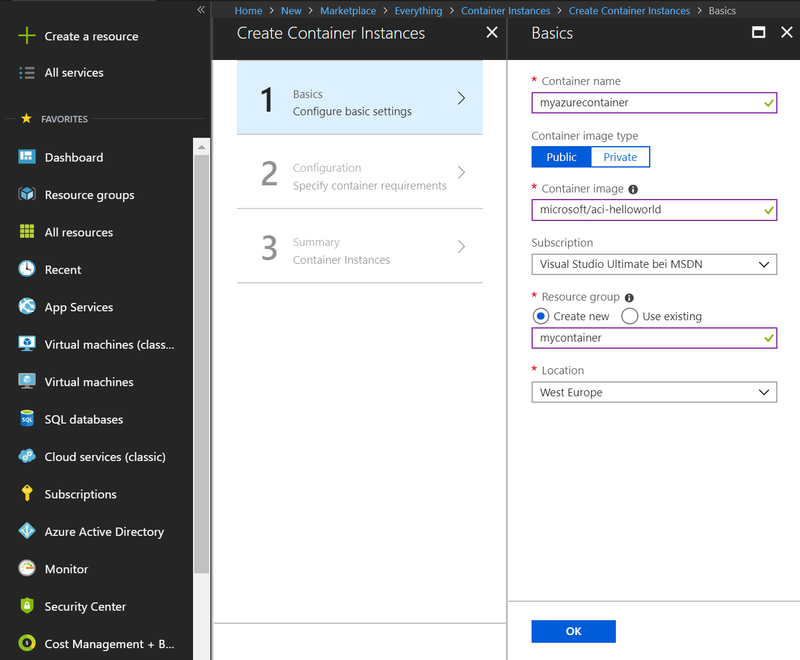 This tutorial will combine the above-defined concepts and describe how to design and implement containers, and how to choose the proper solution for orchestrating containers. 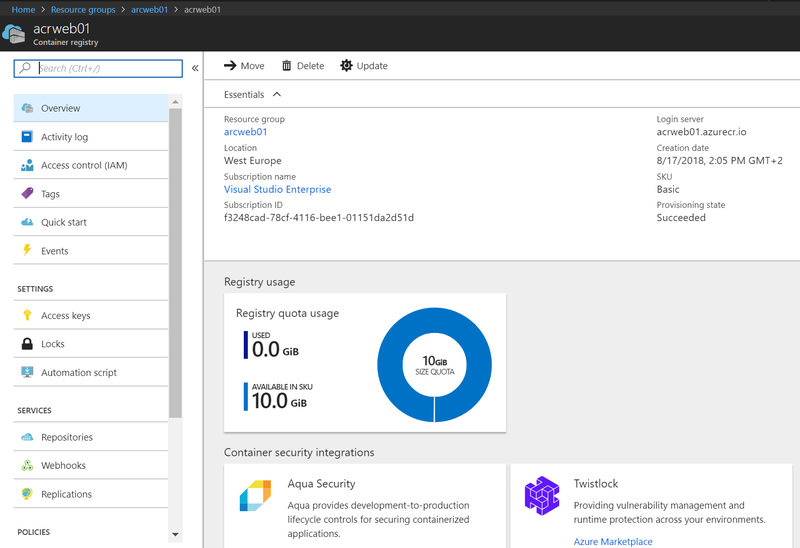 You will get an overview of how Azure can help you to implement services based on containers and get rid of traditional virtualization stuff with redundant OS resources that need to be managed, updated, backed-up, and optimized. 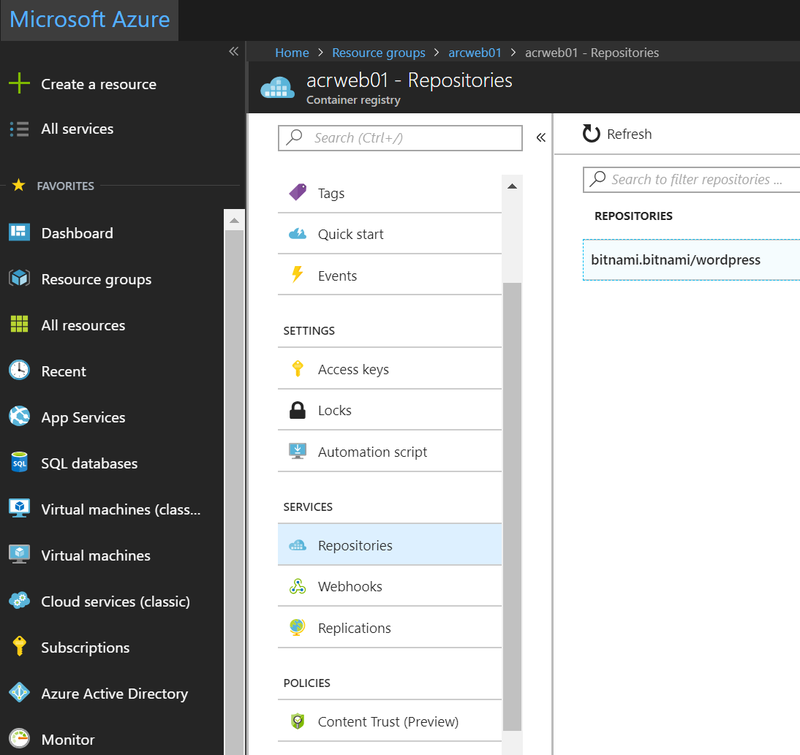 An Azure subscription (if not available, a trial could work too). 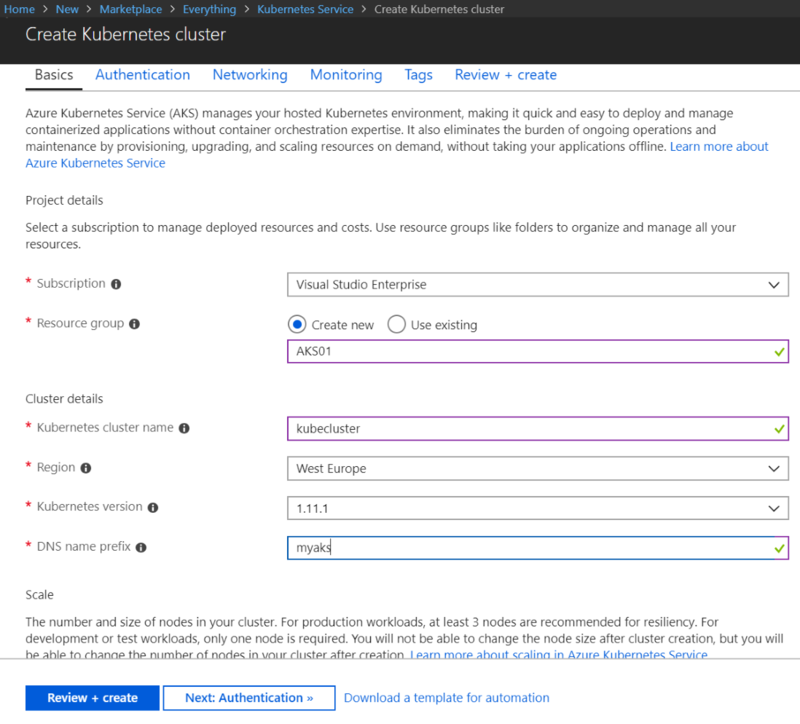 With Azure, you will have the option to order a container directly in Azure as an Azure Container Instance (ACI) or a managed Azure solution using Kubernetes as orchestrator. 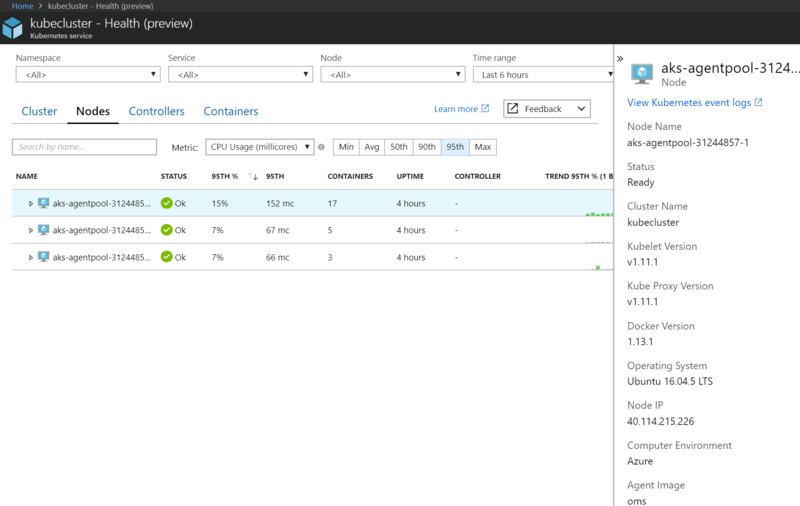 Implementing Azure Solutions – Second Edition. 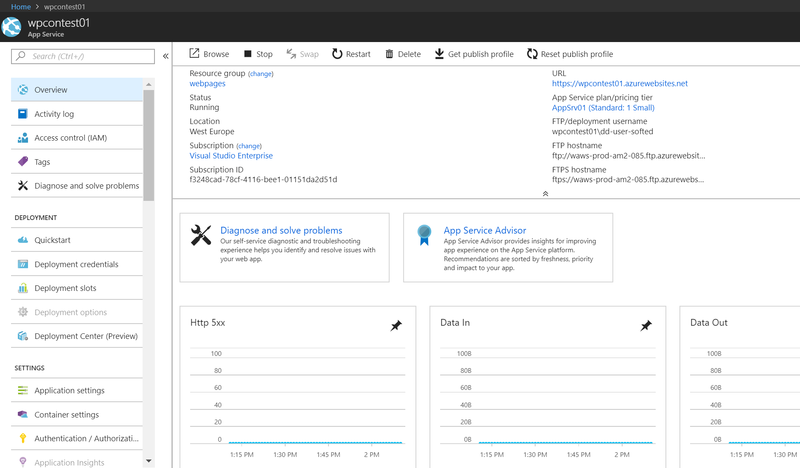 This book will get you up and running with Azure services and teach you how to implement them in your organization. All of the code for this tutorial can be found at GitHub. 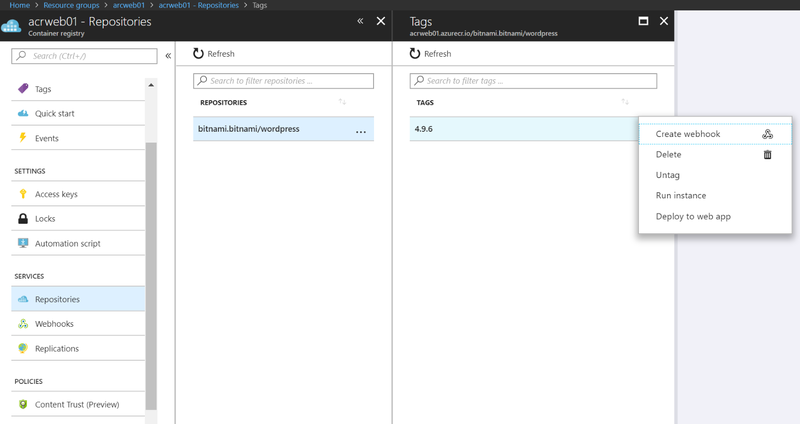 If you need to set up a container environment to be used by the developers in your Azure tenant, you will have to think about where to store your container images. In general, the way to do this is to provide a container registry. This registry could reside on a VM itself, but using PaaS services with cloud technologies always provides an easier and more flexible design. 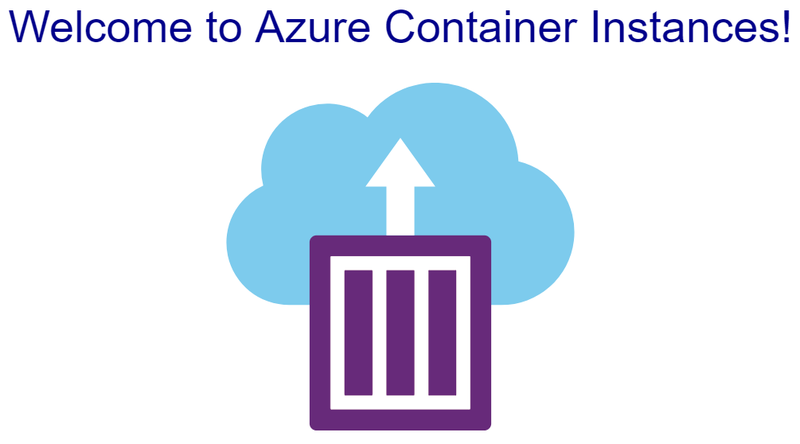 This is where Azure Container Service (ACS) comes in, as it is a PaaS solution that provides high flexibility and even features such as replication between geographies. 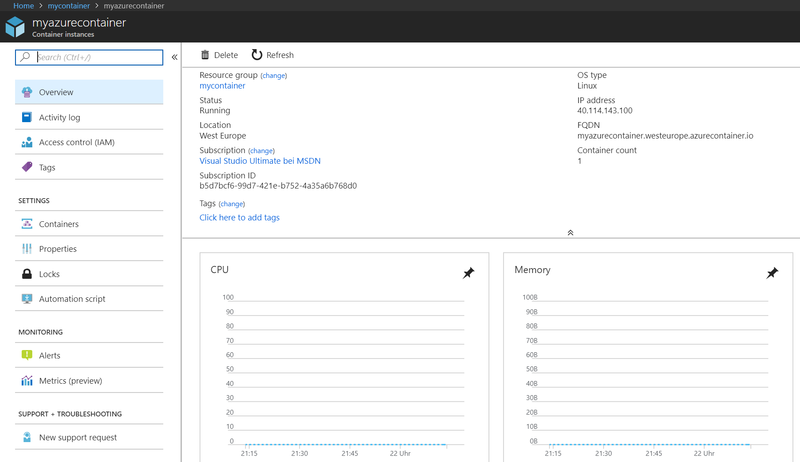 Switching between the different SKUs is supported and can be done using the portal, PowerShell, or CLI. If you still are on a classic ACR, the first step would be to upgrade to a managed registry. 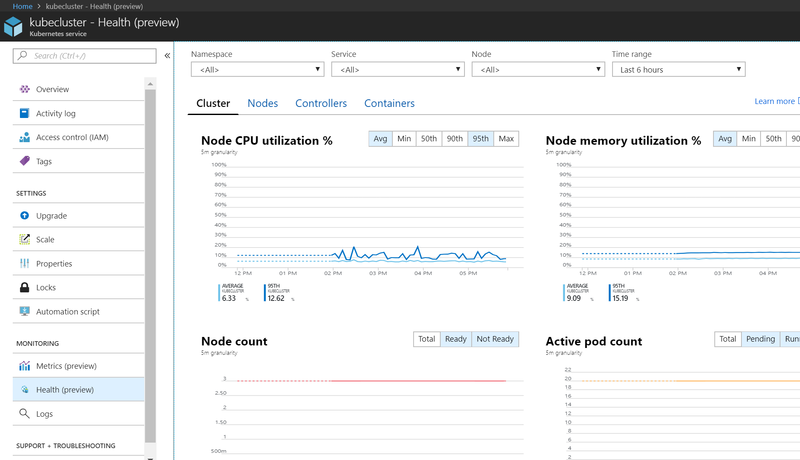 By running your workloads in ACI, you don’t have to set up a management infrastructure for your containers, you just can put your focus on design and building the applications. 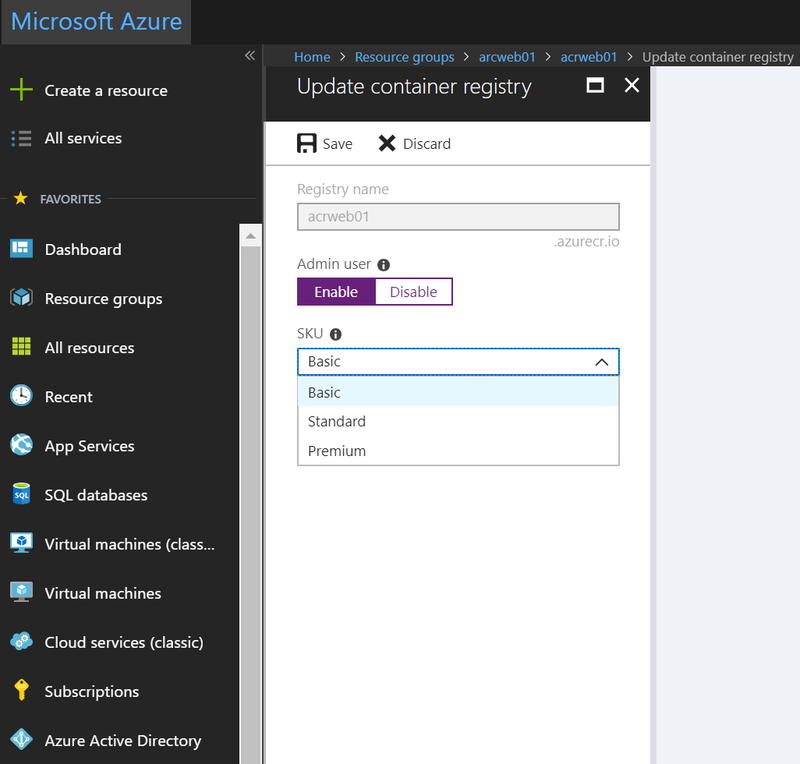 We will need to define the Azure container name. Of course, this needs to be unique in your environment. 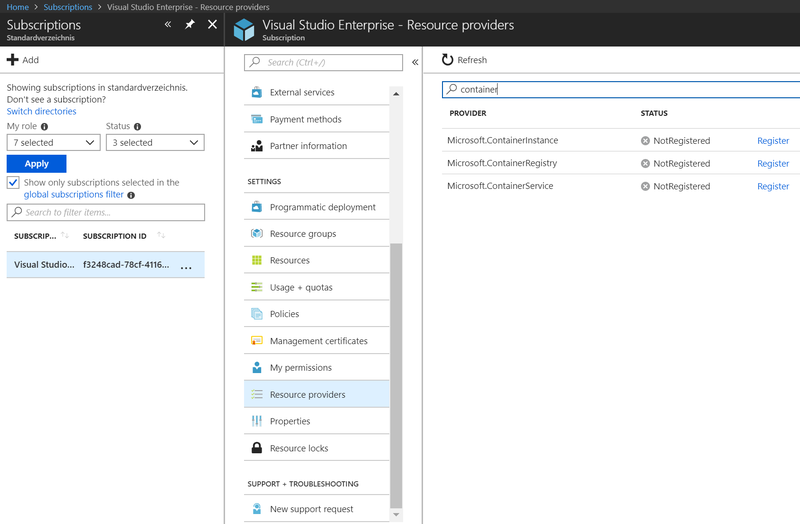 Then, we will need to define the source of the image and to which resource group and region it should be deployed within Azure. 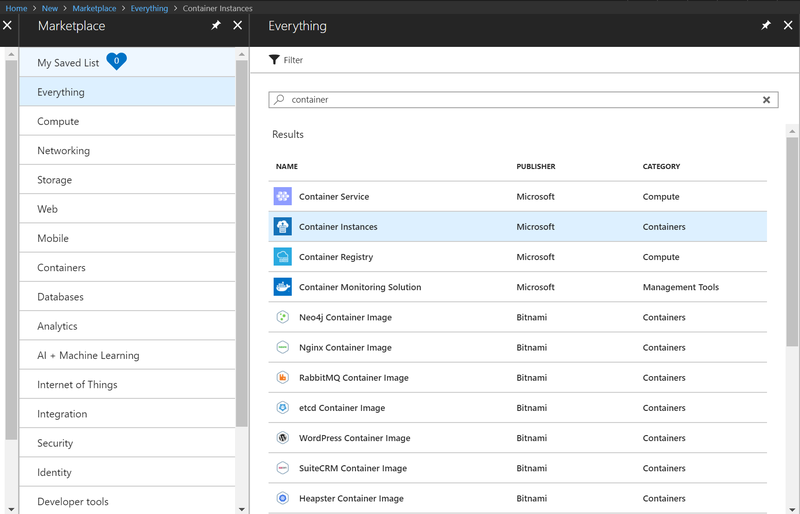 After we have finalized the preceding steps, we have an ACI up and running, which means that you are able to provide container images, load them up to Azure, and run them. 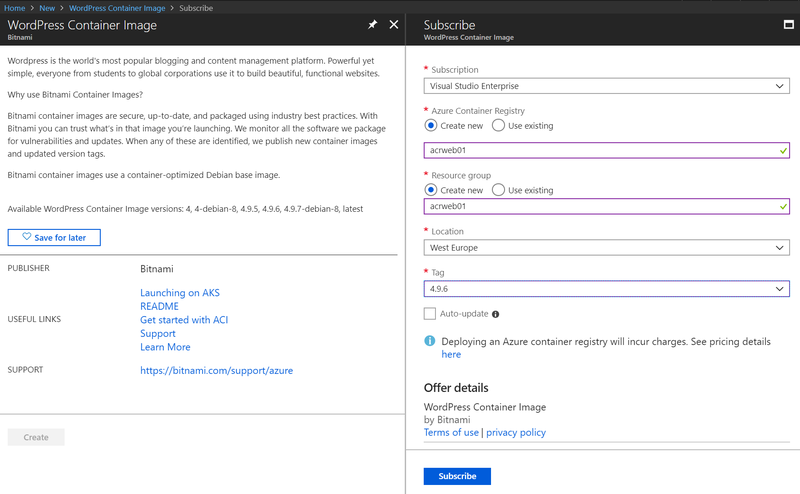 In the public Azure Marketplace, you can find existing container images that just can be deployed to your subscription. 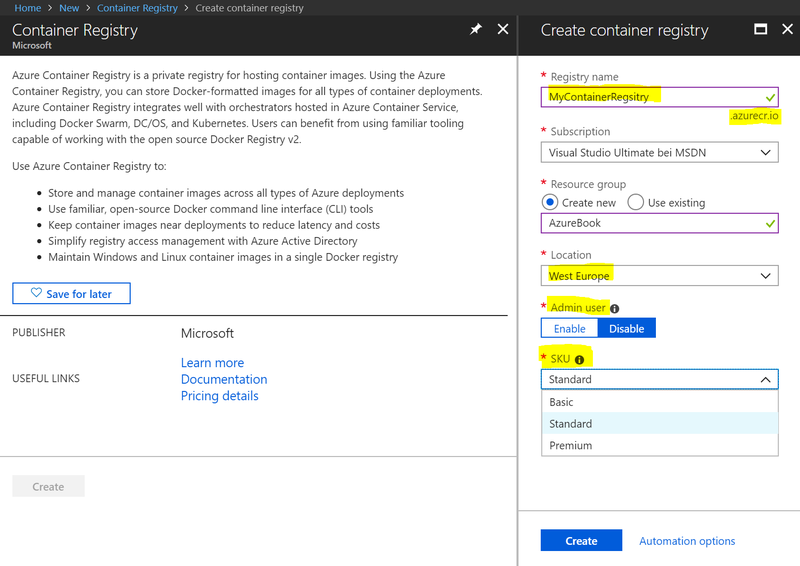 These are pre-packaged images that give you the option to start with your first container in Azure. As cloud services provide reusability and standardization, this entry point is always good to look at first. 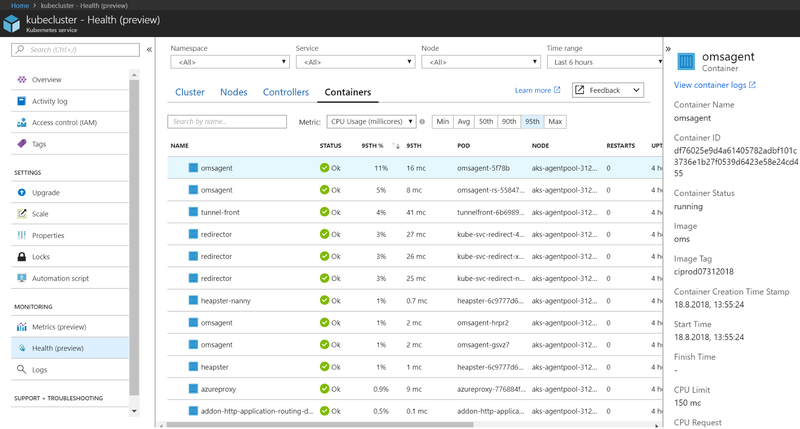 Finally, the first containerized image for a web app has been deployed to Azure. One of the most interesting topics with regard to containers is that they provide technology for scaling. For example, if we need more performance on a website that is running containerized, we would just spin off an additional container to load-balance the traffic. This could even be done if we needed to scale down. 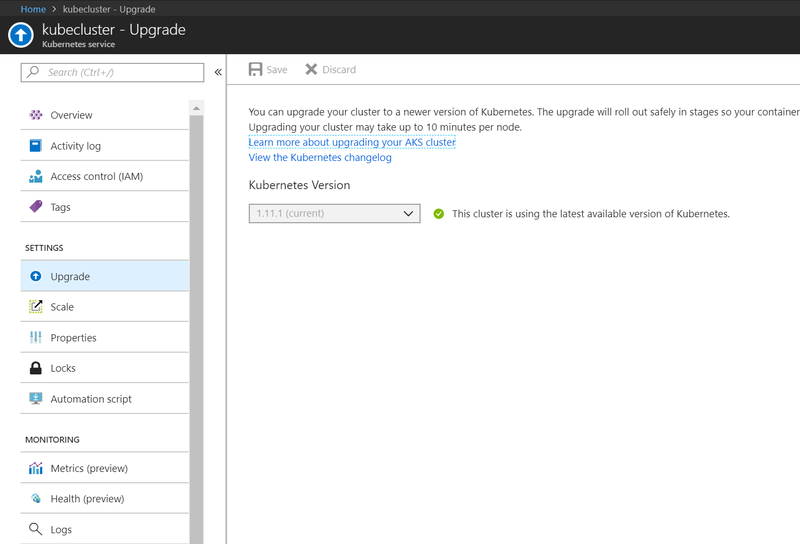 Installing, maintaining, and administering a Kubernetes cluster manually could mean a huge investment of time for a company. In general, these tasks are one-off costs and therefore it would be best to not waste these resources. 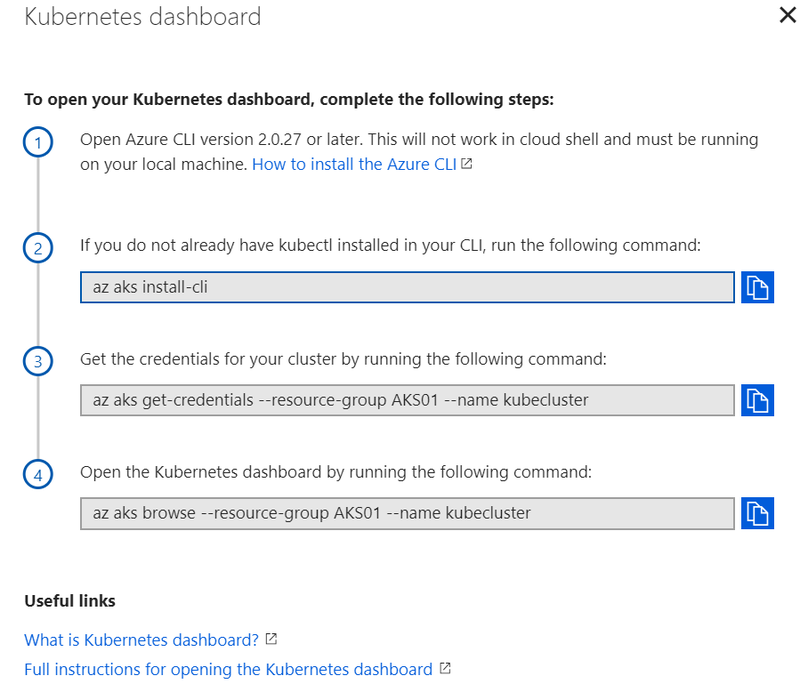 In Azure today, there is a feature called AKS, where K emphasizes that it is a managed Kubernetes service. For AKS, there is no charge for Kubernetes masters, you just have to pay for the nodes that are running the containers. 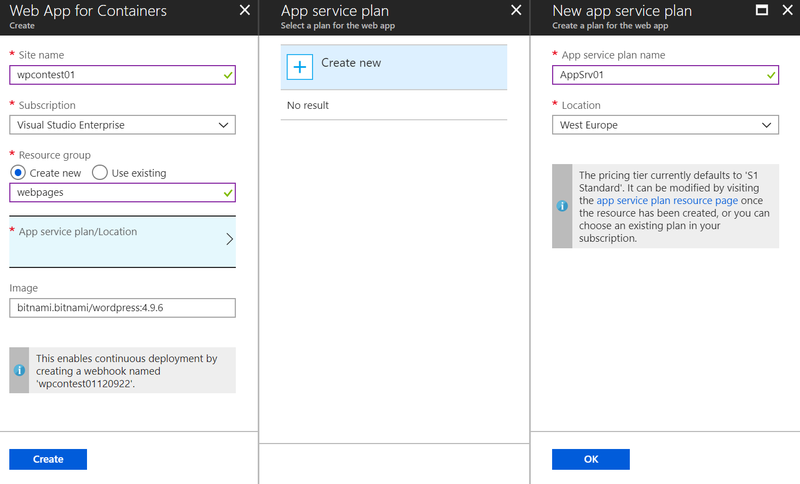 On the Authentication tab, you will need to define a service principal or choose and existing one, as AKS needs a service principal to run the deployment. 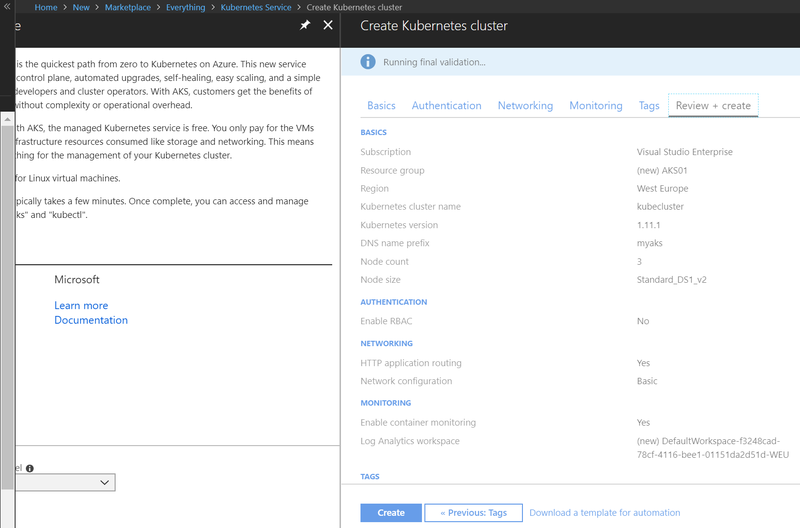 In addition, you could enable the RBAC feature, which gives you the chance to define fine-grained permissions based on Azure AD accounts and groups. Afterward, the AKS CLI needs to be enabled. It is called kubectl.exe. 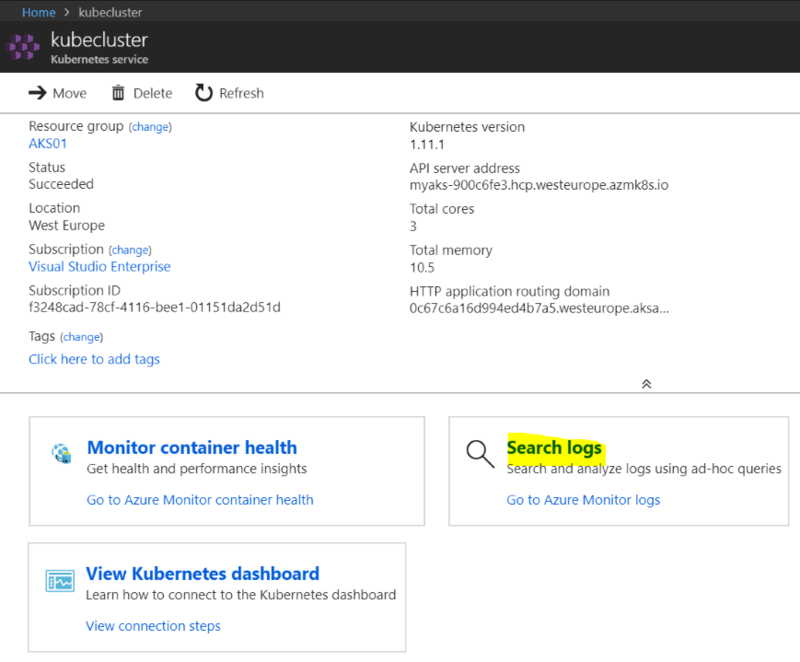 The preceding dashboard provides a way to monitor and administer your Azure Kubernetes environment, in general, from a GUI. 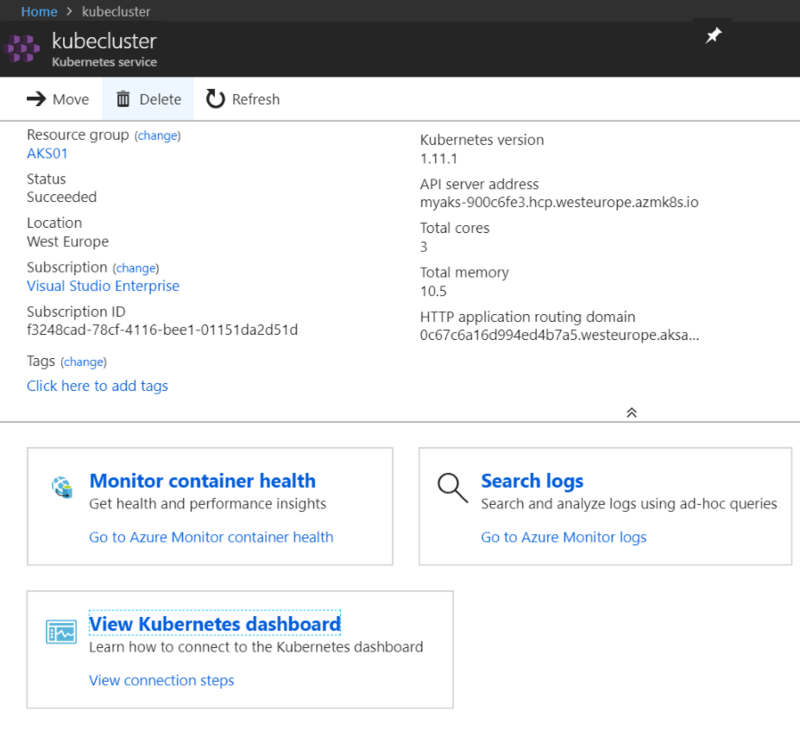 You can now upload your containers to your AKS-enabled Docker and have a huge scalable infrastructure with a minimum of administrative tasks and time for the implementation itself. 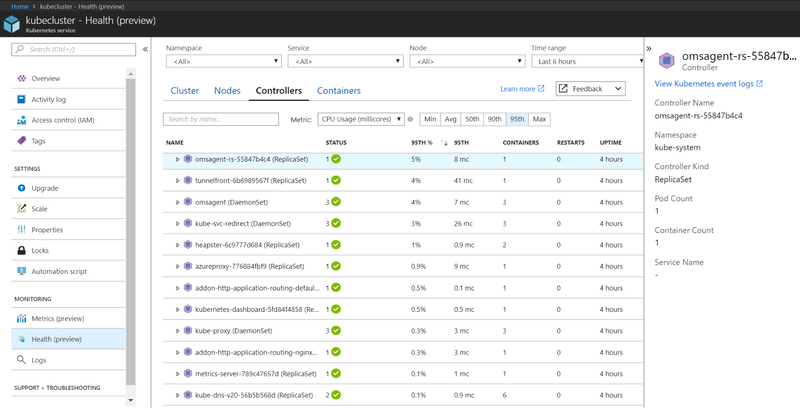 This not only gives a brief overview of the health status but also the number of containers and the load on the node itself. 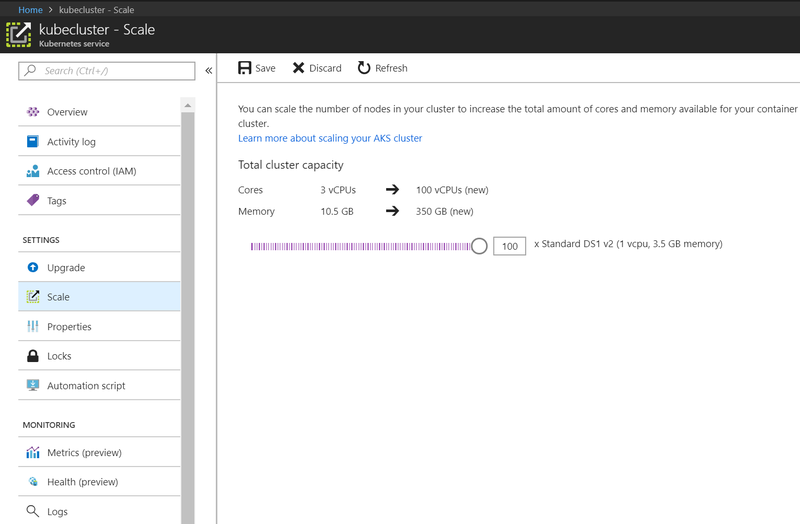 As you have seen, AKS in Azure provides great features with a minimum of administrative tasks. 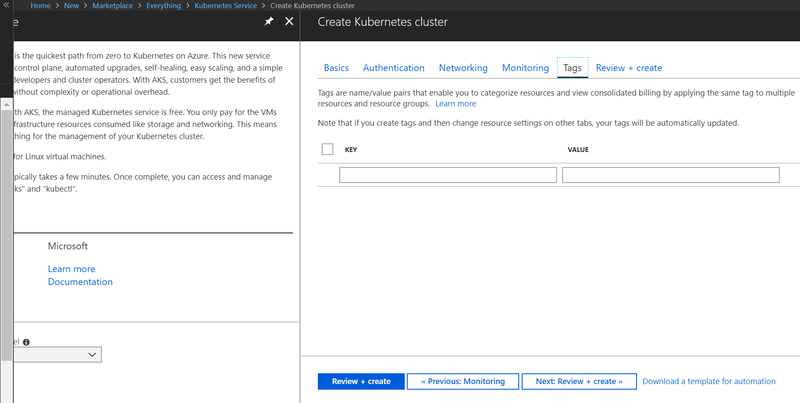 In this tutorial, we learned the basics required to understand, deploy, and manage container services in a public cloud environment. Basically, the concept of containers is a great idea and surely the next step in virtualization that applications need to go to. Setting up the environment manually is quite complex, but by using the PaaS approach, the setup procedure is quite simple (because of automation) and allows you to just start using it.